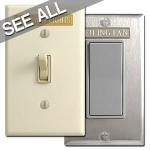 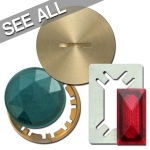 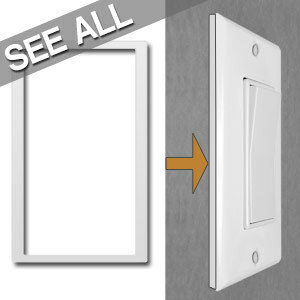 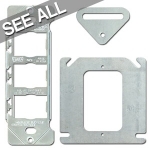 Find light switch plate hardware accessories including long screws, brackets, insulation gaskets, mounting straps, bushings, extension handles for toggle switches, paintable outlet covers, switch identifier labels, jeweled pilot lights. 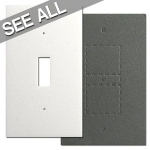 Our switch plates come with coordinating screws in the correct size for the plate. 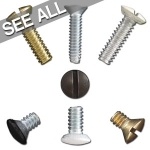 However, special circumstances may require you to order shorter or longer screws to properly install your cover. 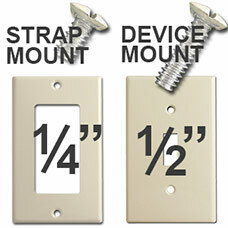 Additional or replacement screws for switchplates can be purchased on our site. 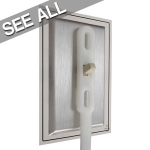 For wall boxes that stick out from the sheetrock, paneling, beadboard, wall planks or tile, fill the gap with these filler rings. 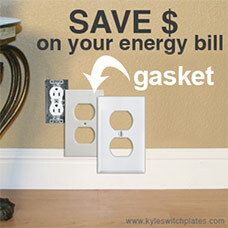 Adding gaskets behind your outlet covers and light switch plates can reduce your monthly energy costs and save you money. 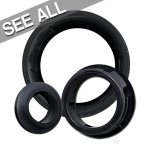 Find box extending goof rings and spacers for sunken electrical boxes. 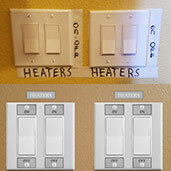 Add light switch labels and take away the guesswork for employees, residents or vacation rental occupants. 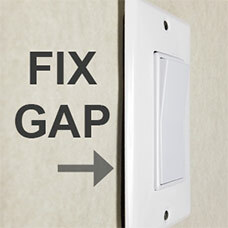 To lock your switch plates in place, use tamper resistant spanner head screws and a spanner head screwdriver.